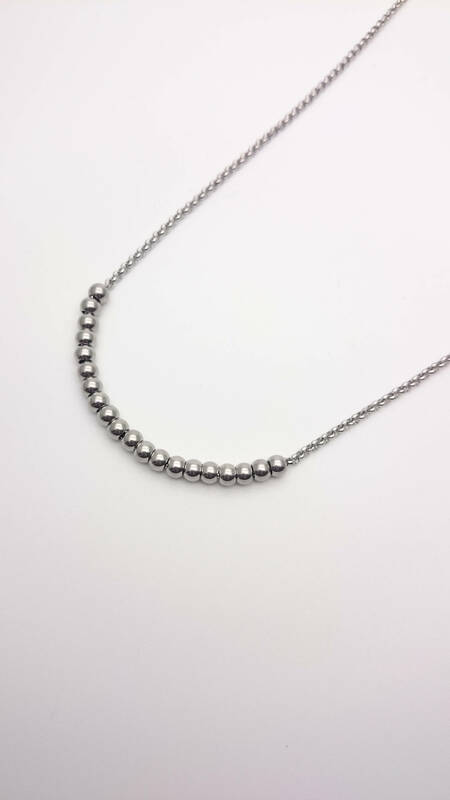 Long Silver Stainless Steel Pearl Chain Necklace//Silver Steel chain and pearls//Minimalist surgical silver steel Hypoallergenic necklace. 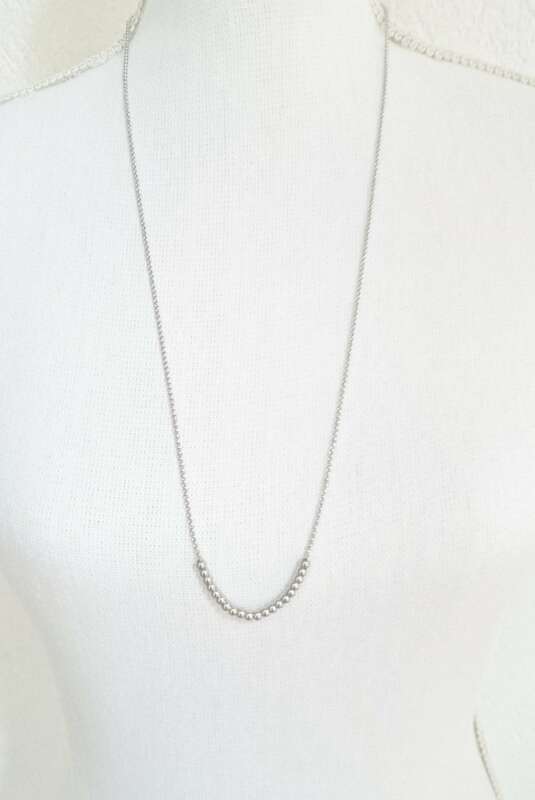 Long chain necklace with little pearls. 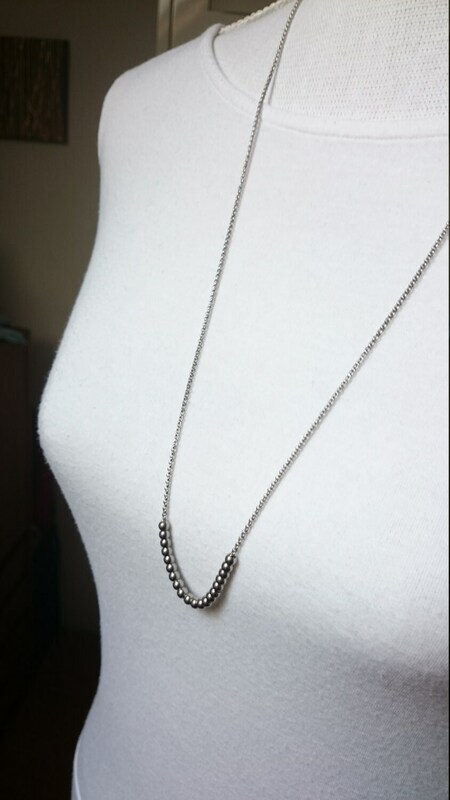 Simple necklace all in matte silver stainless steel. 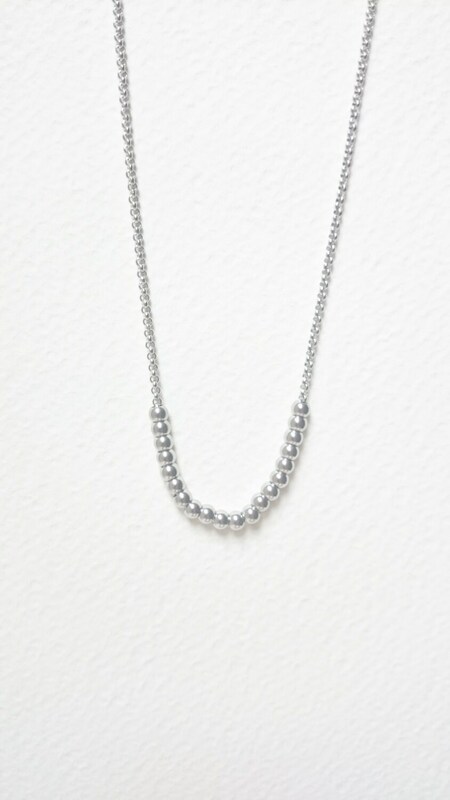 Hypoallergenic for persons with sensitive skin. 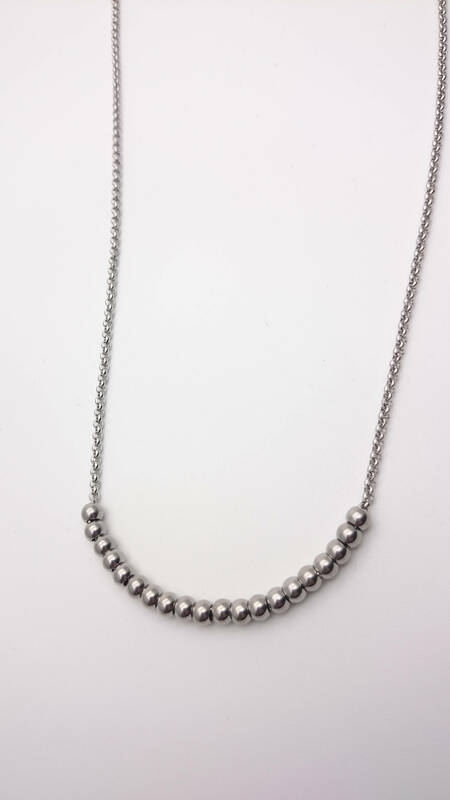 Chain size : 30 inch long. 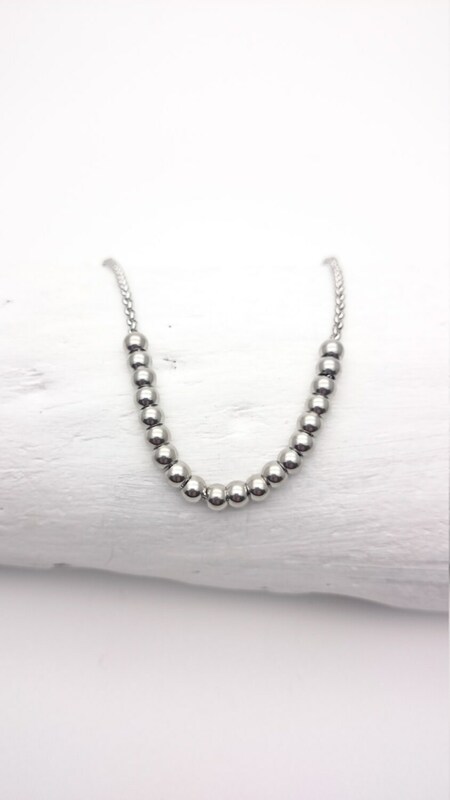 Bead size : 3 mm. 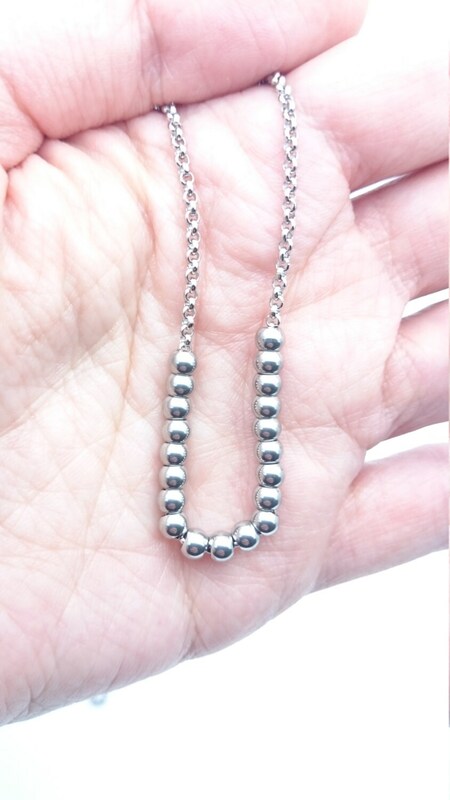 Minimalist necklace you can even take to the beach !